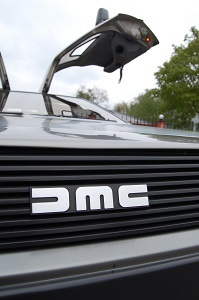 Offered for sale is a 2.85L 1982 Delorean DMC12 manual that has been with the current owner for the last 4 years. Coming with a partial history file, this lot's condition scores 88 / 135. Iconic eighties Gull-Wing unusually finished in Black..
Seats recovered. Headlining good and original carpets. No cracks in dash/trim. Supplied with the original Bill of Sale, a number of invoices and a photograph album. It's in batter shape now than when it was for sale on ebay a few years ago. I really like when it was painted two tones. Domi wrote: I really like when it was painted two tones. Didn't realise there was another black one in the UK along with Al's! 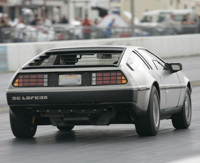 Beautiful car! The two tone is nice but I LOVE the all black version. Very cool. jerzybondov wrote: Didn't realise there was another black one in the UK along with Al's! For a moment then I thought it was Alz ! I knew it was in the UK, as Dan Stacey either saw it at the docks or the shippers told him?